The inland waterways of Russia can now benefit form a new standard of safety equipment, following the approval granted to Survitec Group’s SurvitecZodiac brand, by the Russian River Register. 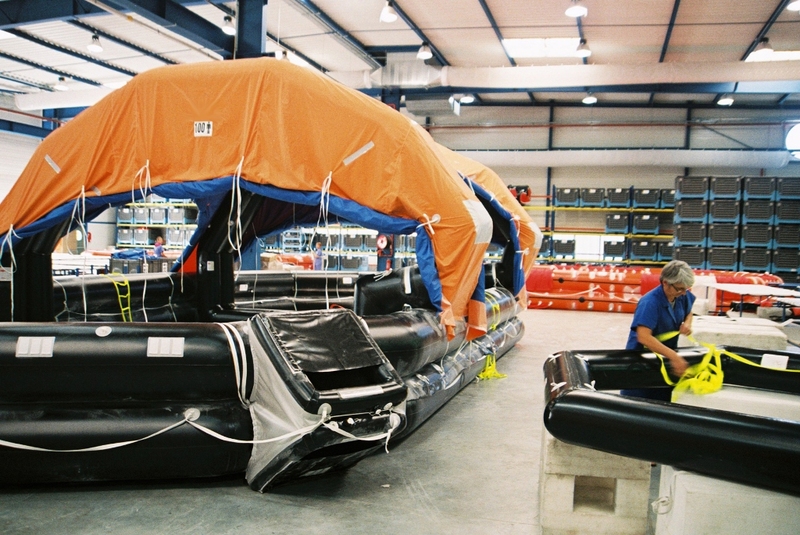 The approval was granted after inspectors from the Register completed a detailed study of the liferafts, escape slides and rescue boats manufactured by Survitec Group under the SurvitecZodiac brand. This included verifying their reliability, manufacturing processes and quality control methods employed at the company’s facility in Chevanceaux, France. The approval will now open the Russian River and inland waterway markets for these products, where it is expected that they will be welcomed by the 18,000 vessels on the Register. By visiting the Chevanceaux factory, the Russian River Register’s inspectors were able to examine one of the most technically sophisticated manufacturing sites within the Survitec Group portfolio. Located among the vineyards of the Bordeaux region of France, the centre is acclaimed for using some of most advanced manufacturing techniques in the marine life saving appliance industry. All processes are governed by the need to ensure quality, and the company has developed a number of engineering techniques that support this objective. Although summer temperatures in the Bordeaux region can be very hot, they are unlikely to reach the extremes needed to determine the operational performance of a liferaft and container. The Survitec facility is consequently equipped with an oven, which can maintain a temperature of more than 65 deg C for many hours, in order to verify and demonstrate that its products can be relied upon to function perfectly in tropical climates. The Russian inspectors were, however, probably more interested in the testing conducted, to ensure that SurvitecZodiac products can perform reliably at the opposite climatic extreme. This is achieved by a giant freezer that can chill liferafts and escape slides down to minus 30 deg C, to ensure that customers using them in polar-regions, are reassured they will function flawlessly despite temperatures that could paralyse inferior products. The innovation built into new SurvitecZodiac products, is also reflected in the innovation applied to the manufacturing process itself. The factory is home to exclusive fabric welding machines designed and fabricated to meet the specific requirements of the SurvitecZodiac engineering process. The facility also boasts a unique, hydraulically lowered floor, which gives personnel access to the life-saving appliance being assembled and packed, without recourse to the arduous and potentially injurious bending that would otherwise be required. This boosts output and enables repetitive tasks to be conducted quicker, while reducing the likelihood of defects caused by operative discomfort or fatigue. 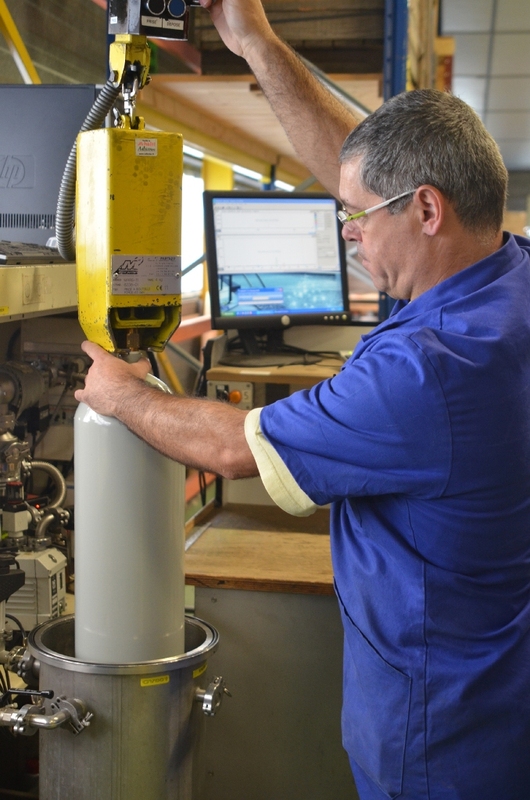 As the facility is also a service centre for SurvitecZodiac products, the refilling and leak testing of gas cylinders was one of the first operations to benefit from the ethos of innovation at Chevanceaux. The facility is believed to have been the first in the world to place refilled gas cylinders inside a vacuum chamber, where a mass spectrometer is used to quickly and reliably, verify whether any of the nitrogen and carbon dioxide gas mixture is escaping. With a skilled workforce, room for expansion and easy access to France’s transport infrastructure, the facility is today regarded as a jewel in the Survitec Group’s crown. Approval of the company and its products by the Russian River Register is now being seen as a welcome endorsement of these characteristics that will open an important new market for the company’s products.